I used Aly's vintage set. I then used the sharpen tool to add sparkle to the eye and the burn tool to deepen the eye color. I also used the burn tool on the lips. See I told you I was confused. Don't know what I did and not sure if I like it but this is what I have done. Please leave some constructive criticism. i was really hoping to have her lip color show through and deepen it so it looked a little like lipstick but not too deep. If you know how please e-mail me directions. I love when the kids pick me dandelions and this was last week on our walk in the park. 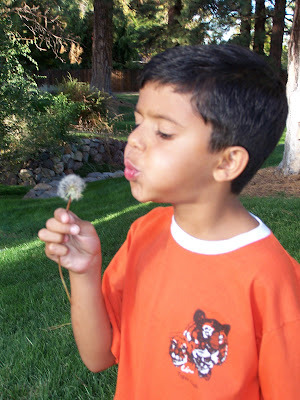 Dandelions are very special as they are the first flowers a child picks for theirparents and every year on mother's day my kids pick me dandelions. That may sound strange but it really is from them. Daddy did not give them money or take them to a store to but me some. They had a blast running around on the grass scooping up every yellow dandelion they could find and the pure joy they have and the simple pleasure of watching them is priceless. I just love it. With that I will share this poem I found on the internet. It is very touching and I love it. 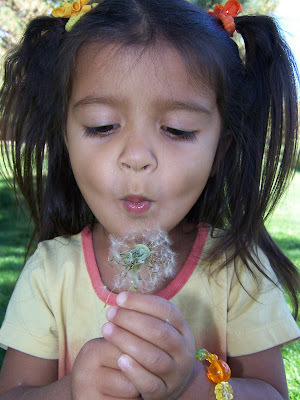 The simple pleasures in life should define childhood and every child should enjoy the dandelions. There is no harm in the growns joining in on the fun. I think you did a great job editing. Photoshop can be very intimidating. I have started using picasa for quick edits. It's a little more user friendly. I love all the flower pictures too. What a fantastic way to have some family time. Now onto the photo. you actually did a really good job. actually, I'll pm you. it will be easier that way! lol!! don't igve up, pse is complicated at first, but once you get a coupel of things, it becomes so easy you have no idea. And then you become addicted and can't do without it!!!!! take it form an addict! Great coloring on the photo. Love it! so cute!! I love all of the photos you took!! They are so fun! You did a fantastic job! Don't get frustrated a little here and there and you'll do just fine! Glad you were able to leave your comfort zone! 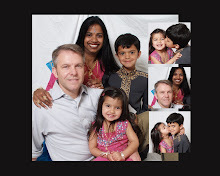 Love the story of the dandelion and all the family photos!! Looks like y'all had a beautiful day! 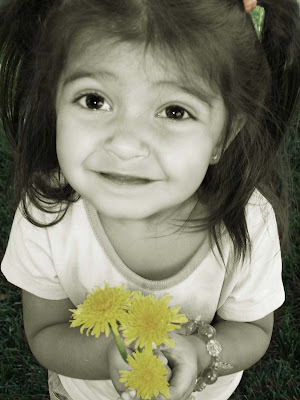 Totally love that picture of the little girl with the yellow flowers. Great editing! Love how you left the flowers yellow, great editing! fantastic work on the edited shot! They turned out good. I don't have photo shop, I just use what came with my computer called photo explosion. I think if you go to YouTube just type on the search box like how to do stuff in photo shop and people might have videos on it.